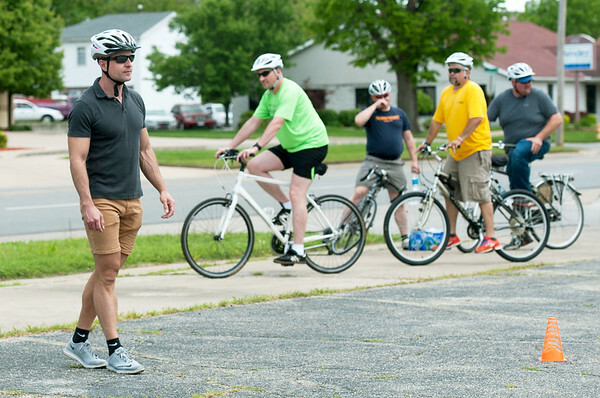 Robert Johnson, left, of Pednet, gives a crash course in bicycle safety before officials from the City of Pittsburg, Crawford County and local residents take a bike tour of Pittsburg on Tuesday afternoon. Pednet works to advocate safe biking routes for cities. The tour highlighted the challenges of riding a bike through the city.